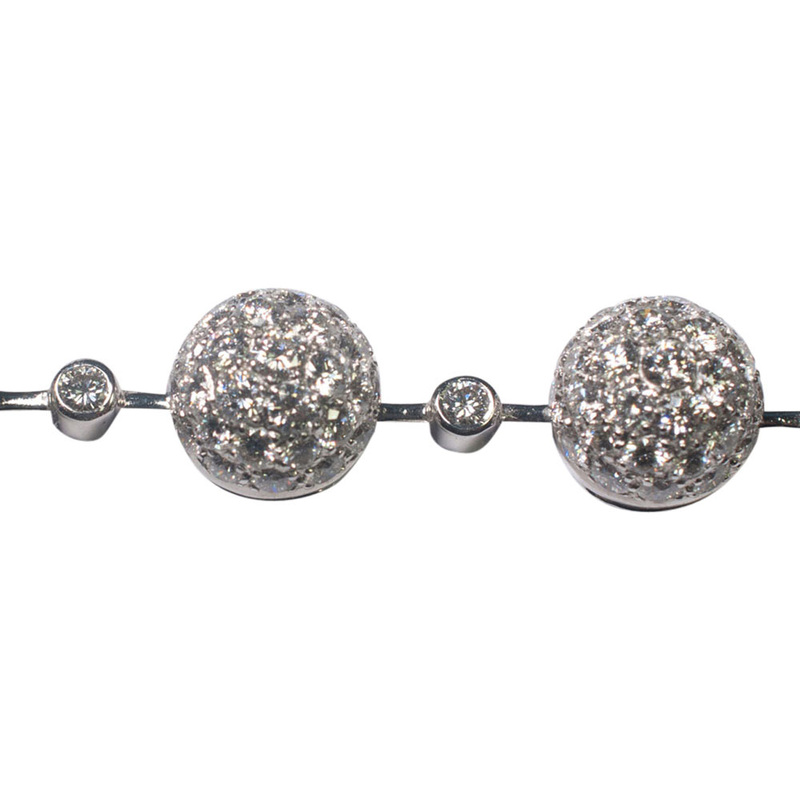 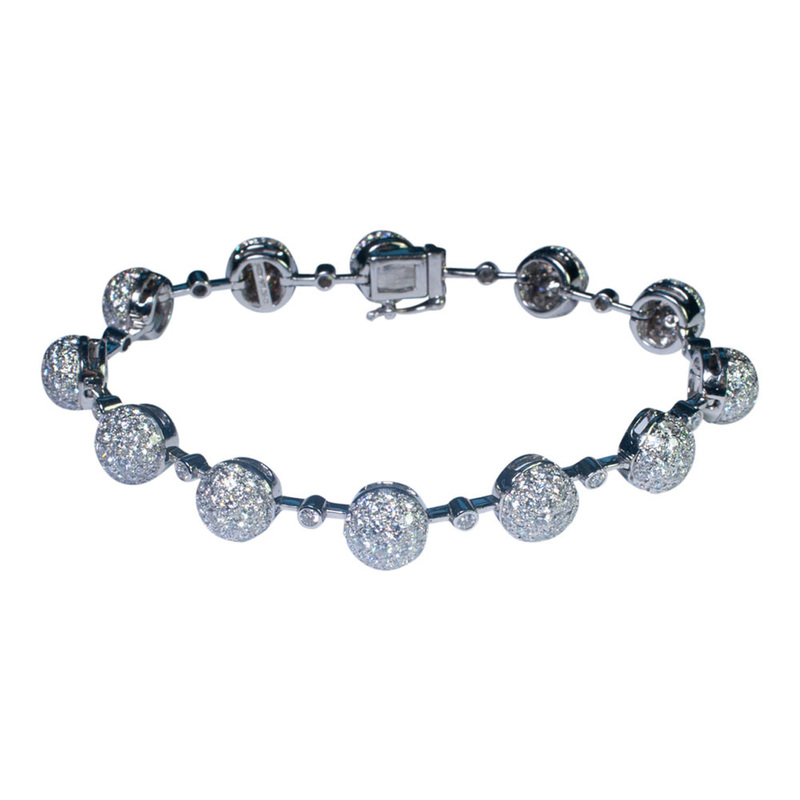 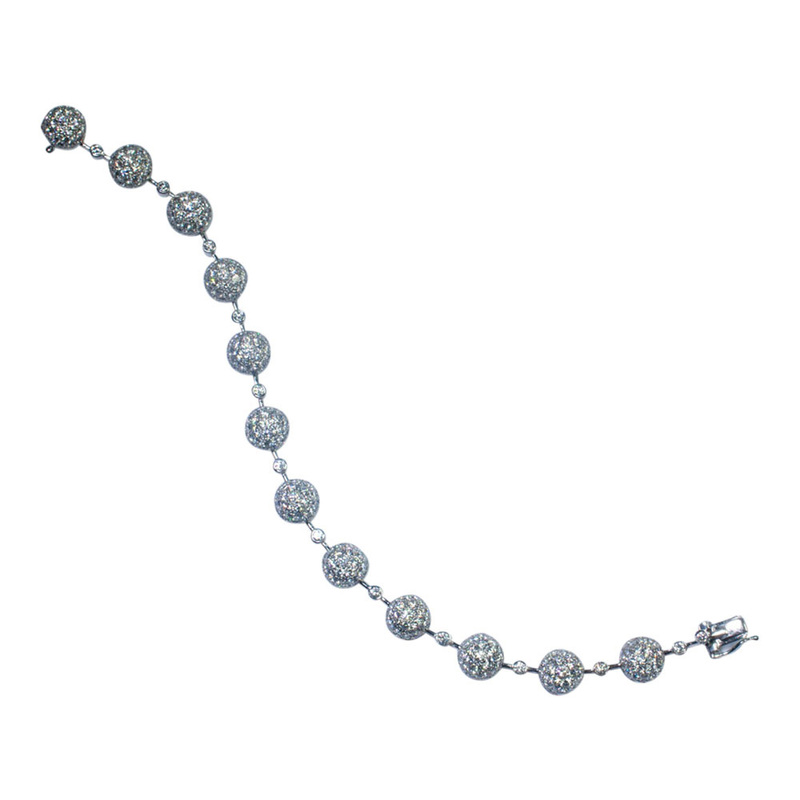 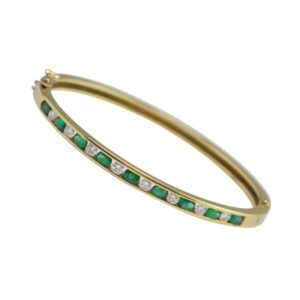 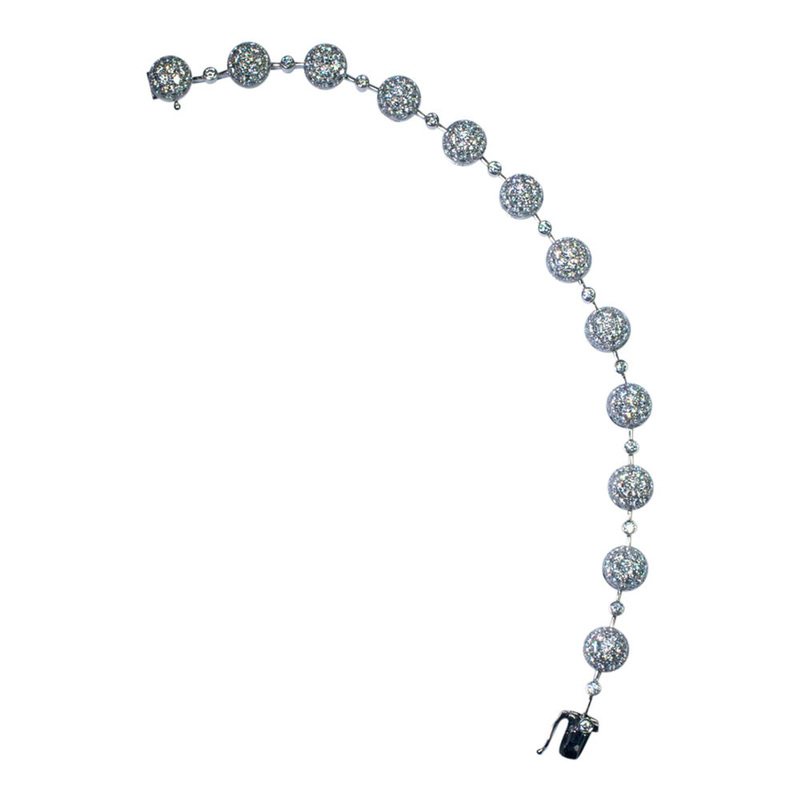 Chatila diamond bracelet; we are thrilled to have purchased this magnificent bracelet which oozes style and class as jewellery from the exclusive Chatila jewellery houses rarely comes on the market. 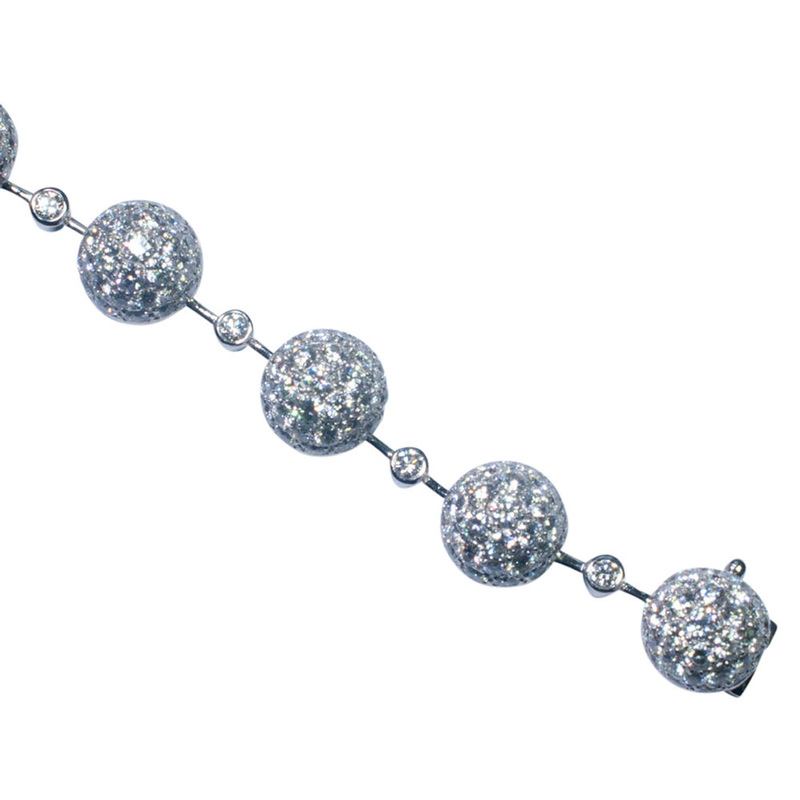 It consists of 12 brilliant cut, pavé diamond set spheres linked on a knife blade with a bezel set brilliant cut diamond between each sphere. 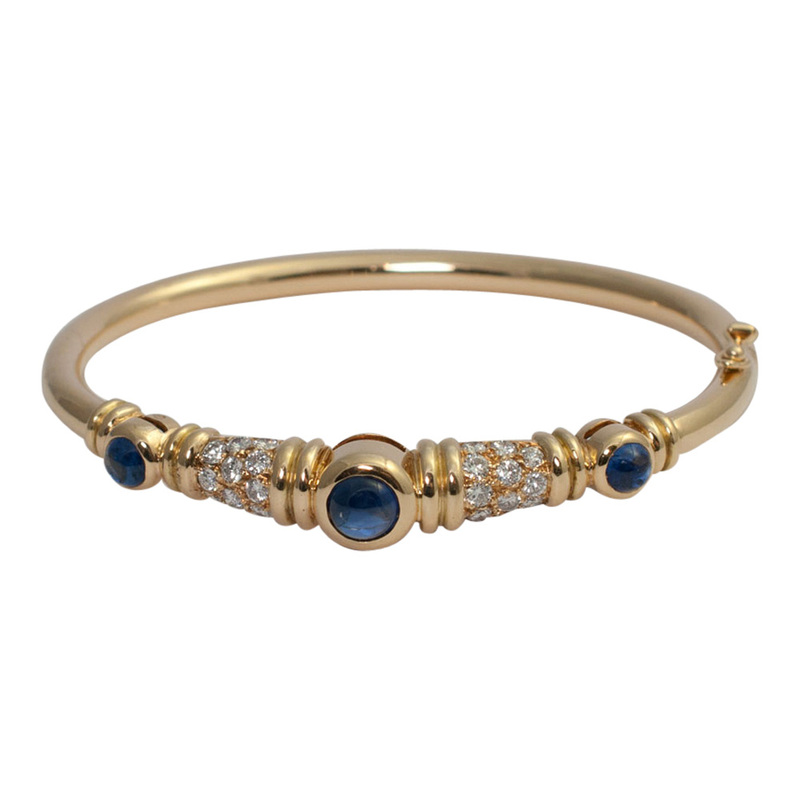 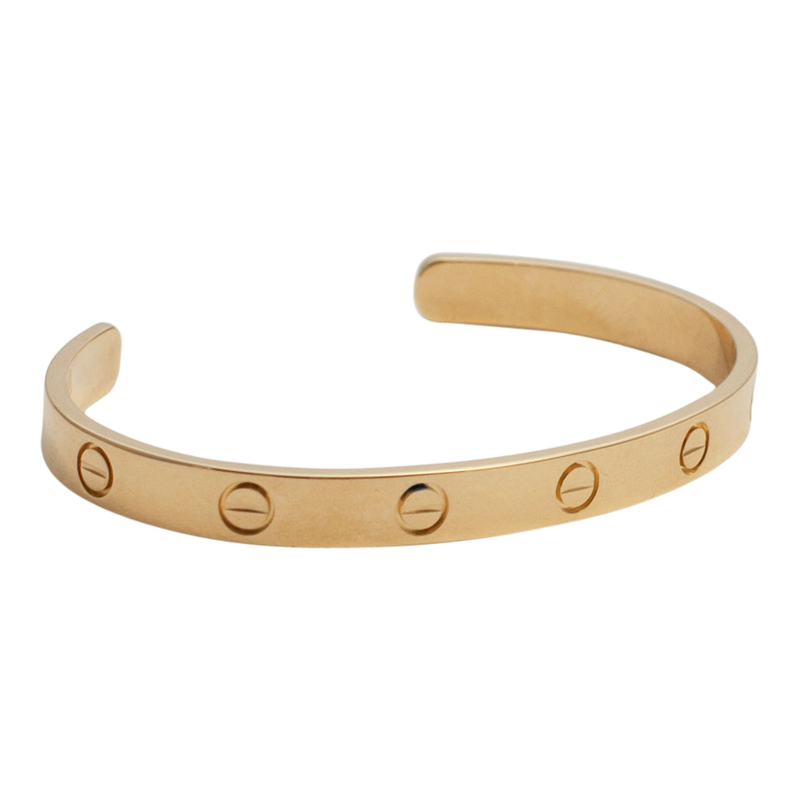 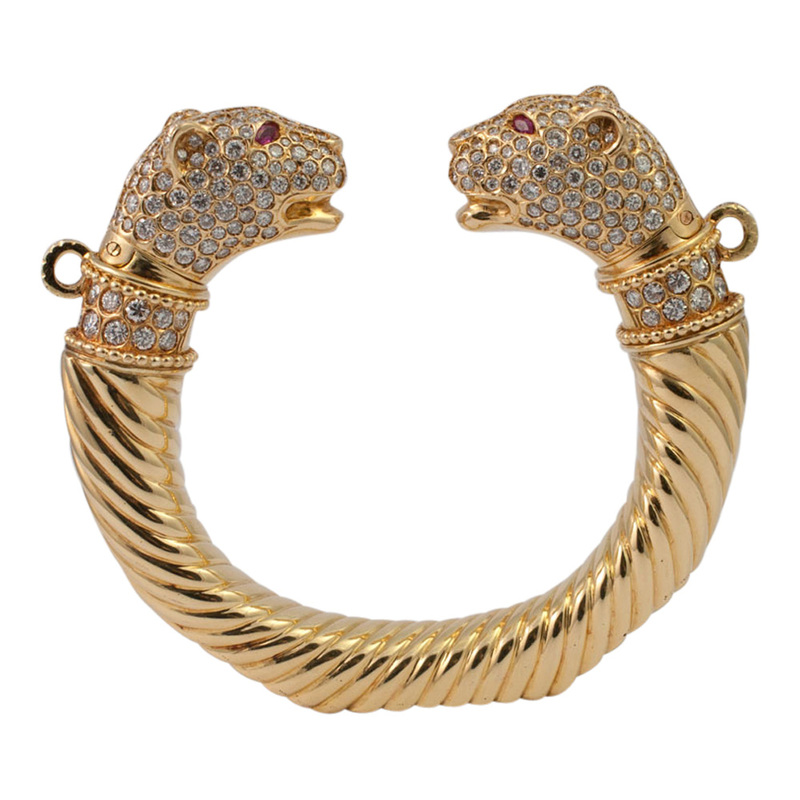 This bracelet has been beautifully crafted by master craftsmen and is in excellent condition. 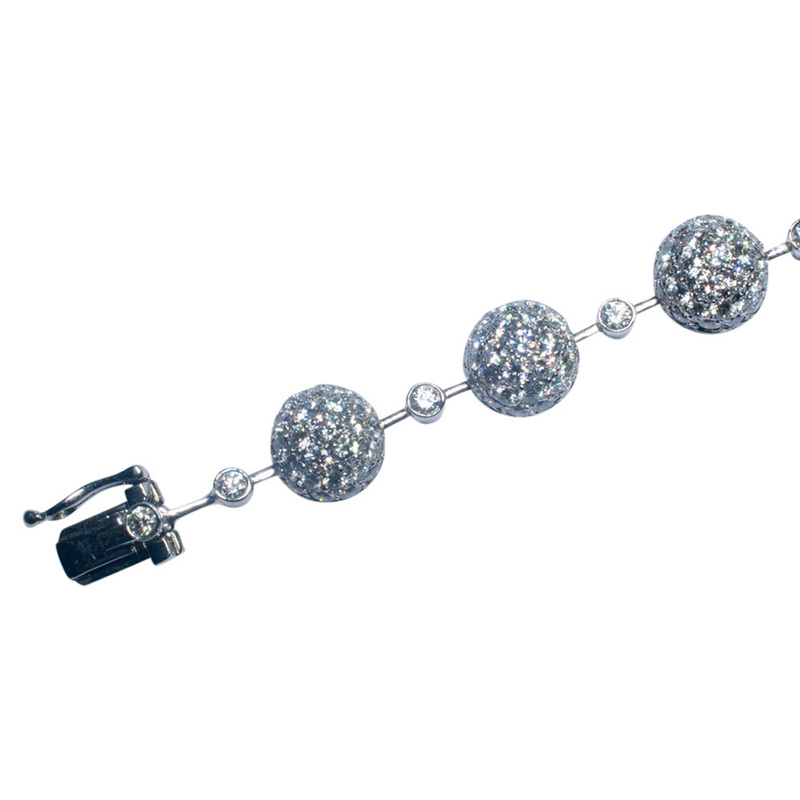 Length 19cms, weight 28.4gms. 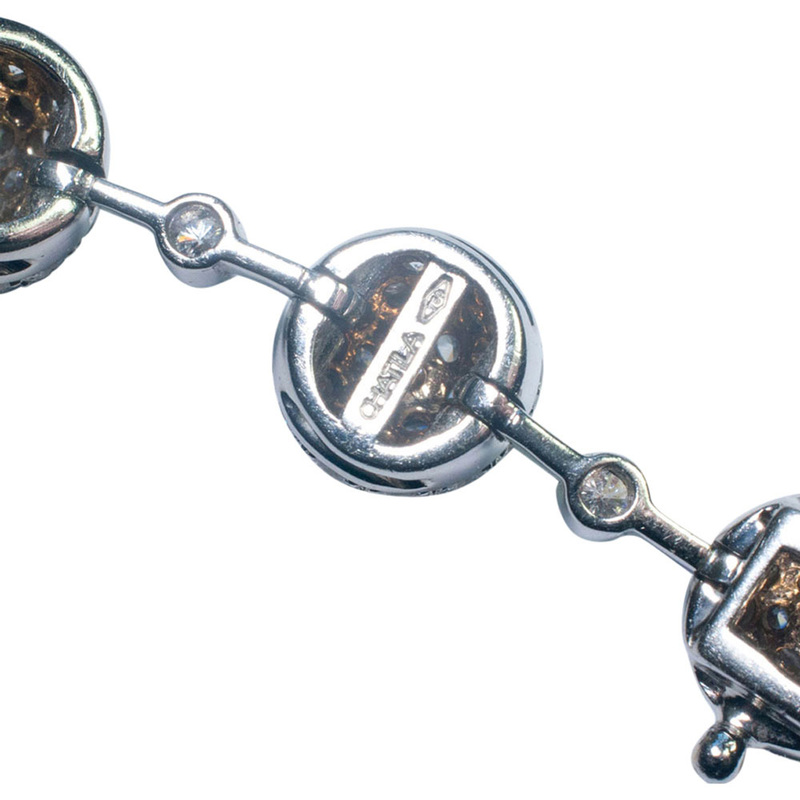 Stamped 750 and signed Chatila.